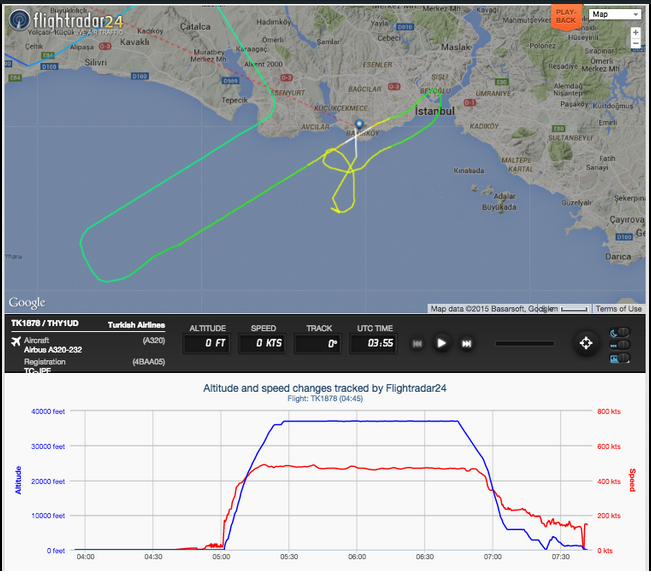 The aircraft was badly damaged after a hard landing and gear collapse at Istanbul Airport. 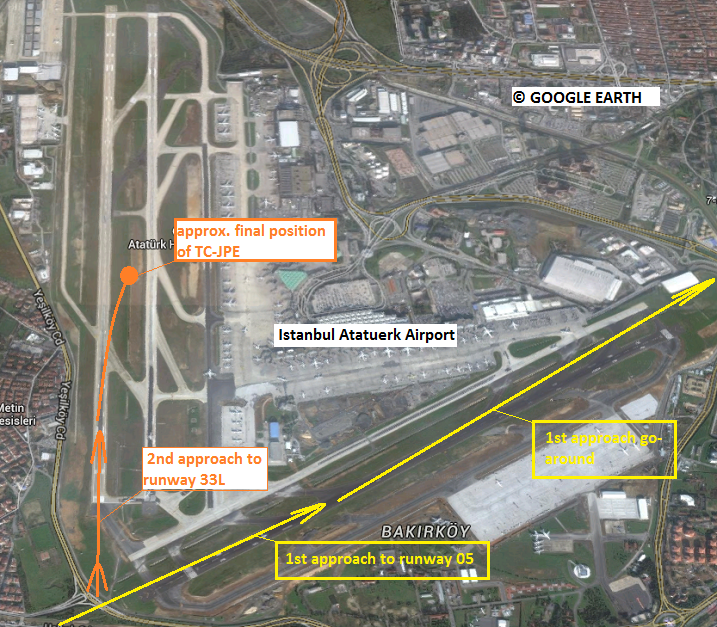 Moments before touchdown on runway 05 at Istanbul´s Atatuerk Airport, the aircraft began a sudden roll movement to the right. 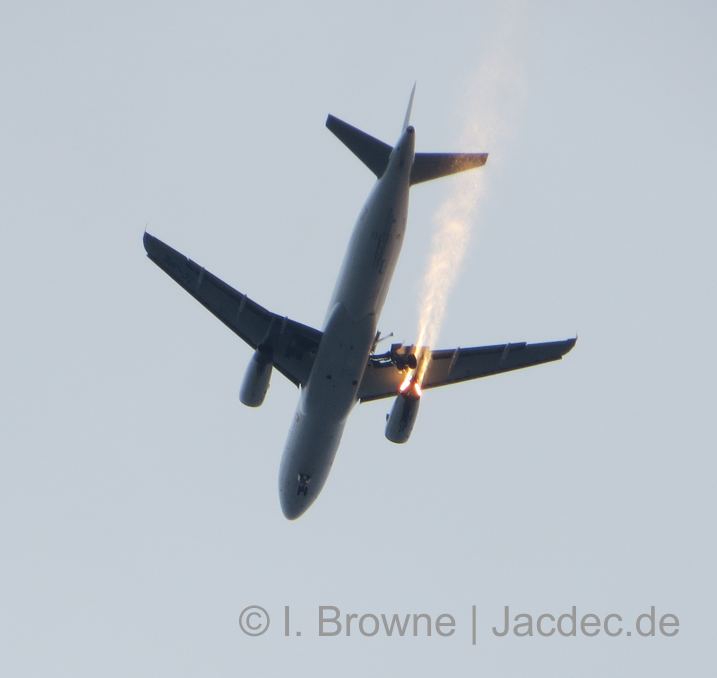 The touchdown was very hard on its right maingear also, the right wingtip and engine came into runway contact. 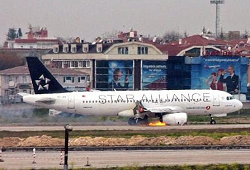 The pilots quickly initiated a go-around maneuvre, declared an emergency and returned for an emergency landing on runway 35L, about 20 minuted after the first landing. 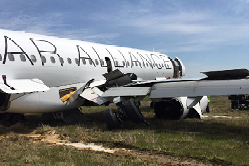 The weakened right maingear collapsed on landing resulting in a drag to the right when the A320 skidded on its right engine until it left the paved surface and ran over soft ground where it turned to nearly 180 degrees before coming to a stop. 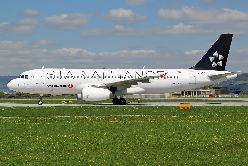 All passengers were evacuated via the left emergency slides. 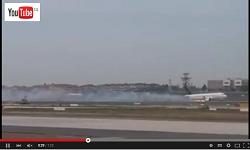 Fire erupted on the right side when fuel leaked out of ruptured fuel lines from the damaged engine. Fire services rushed o the scene and the flames were quickly doused. 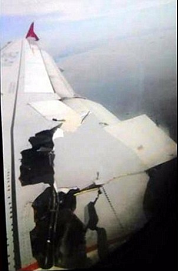 Damage to the aircraft is substantial. The fire worsened the amount of damage to the right wing. At the time of the landing local weather at Atatuek Airport was pretty good, cloudless with good visibility and calm winds.